Tyler Ward is a sophomore at Meridian High School and a reporter for the District 15 News Show. Ward wants to get his degree in communications and is taking journalism to help him achieve his goal. 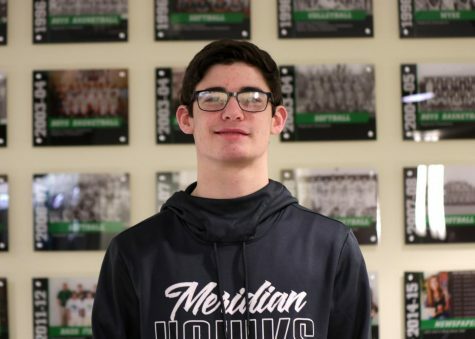 Ward is also part of the Meridian Hawks Basketball Team and Meridian Hawks Baseball Team this year. His ultimate goal is to earn a scholarship for basketball and play professional basketball or become a sports analyst when he graduates college.